A review on tweezers is about as dull as blog post gets, but hear me out. I'm a complete snob when it comes to tweezers and always have been, ever since I started getting my brows waxed at the age of 10 (they really did used to be that untamed) I've had a pair of Tweezerman's in my make-up bag. Cheap tweezers really used to be so terrible back in the day that I got it into my head that nothing would ever match up. 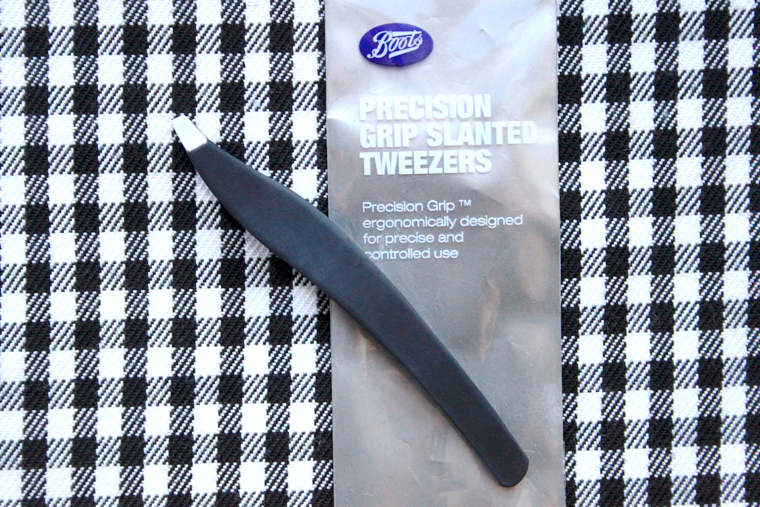 That was until I was tweezerless (new word) recently when leaving the country and picked these up from Boots en-route. They are sharp and pluck hairs with ease but the real deal lies in the silicone coated handle and the shape of the tweezers which is what makes them work so well. I've found it so much nicer to use these due to the soft rubbery handle than those that are just metal. There's only so much I can write about tweezers but these are just so wonderfully designed that I will never spend a fortune on a pair again. Please do leave me a comment and let me know what your favourite pair of tweezers are, I'm nosey like that.